Note: As a courtesy to our customers, we provide online tutorials on how to configure various email software. 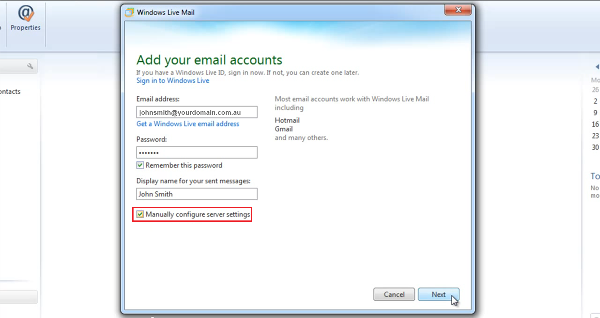 Our staff, however, are not able to provide support on how to use Windows Live Mail. 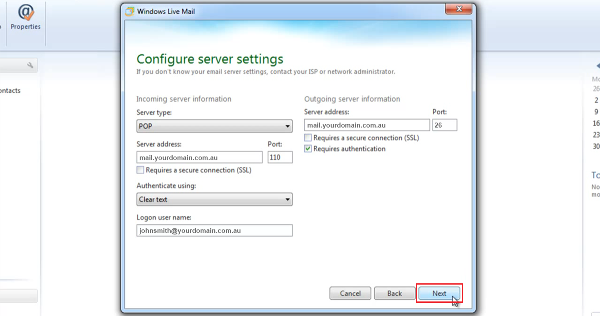 For further assistance in using Mozilla Thunderbird please see Windows Live Mail support page. 6. 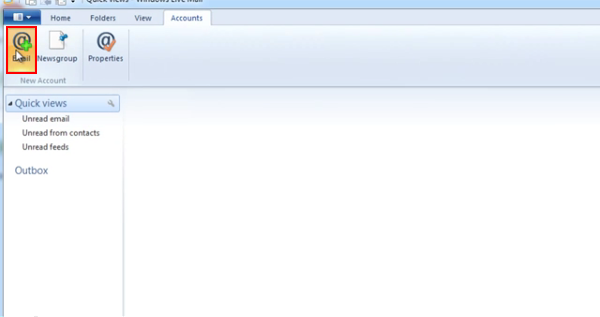 In the Display Name you can type what you want the recipient to see when they receive your emails. This is usually your name or company. 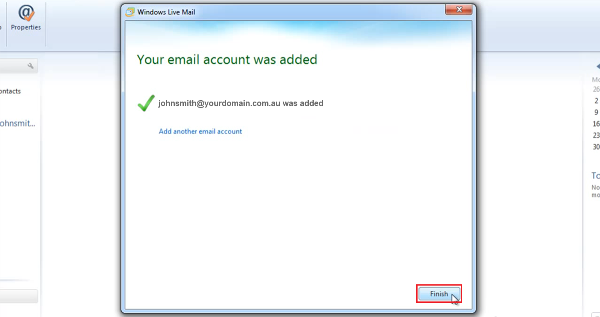 Incoming mail server: mail.yourdomain.com.au for either POP or IMAP where yourdomain.com.au is your domain name.